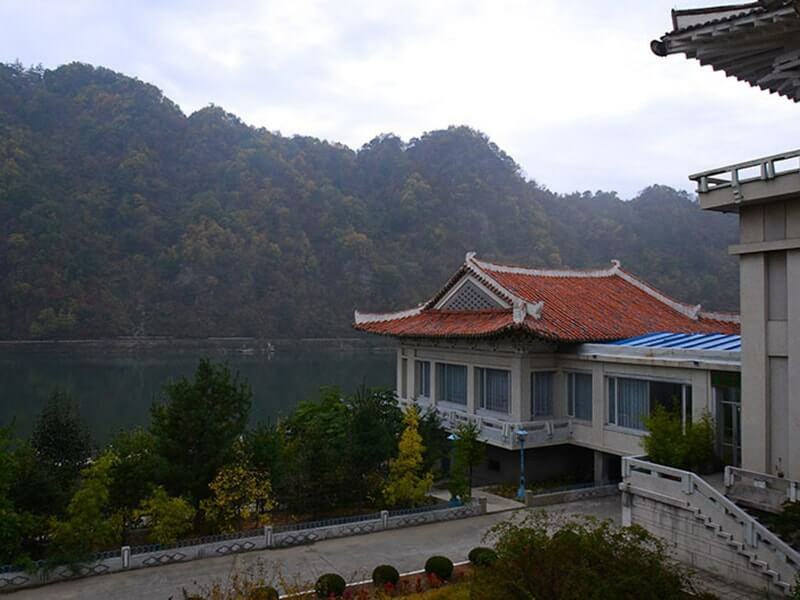 Nicely situated on the banks of the Chongchon River with spectacular river views, the three-storeies building of Chongchon Hotel is the standard hotel for travelers to the Mt. Myohyang region. 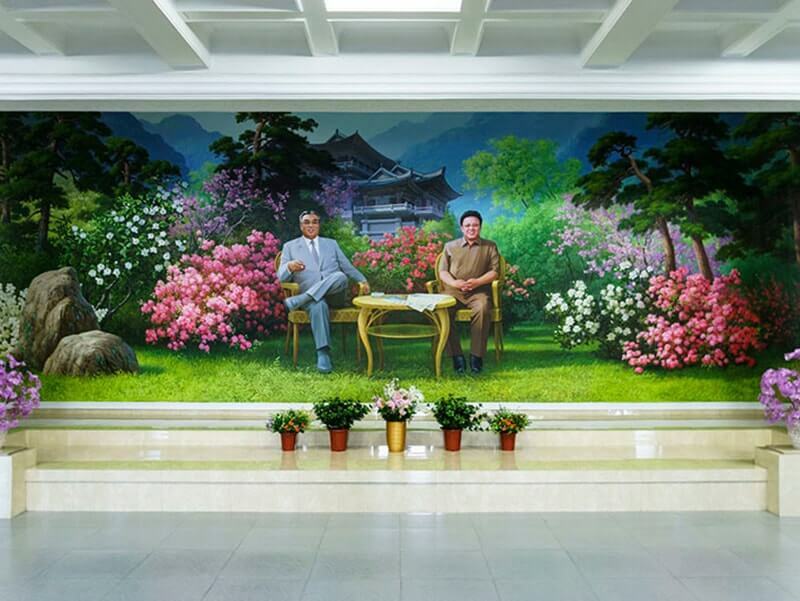 It was built in the 1970s with a classically Korean style exterior but a very distinctly Soviet interior. 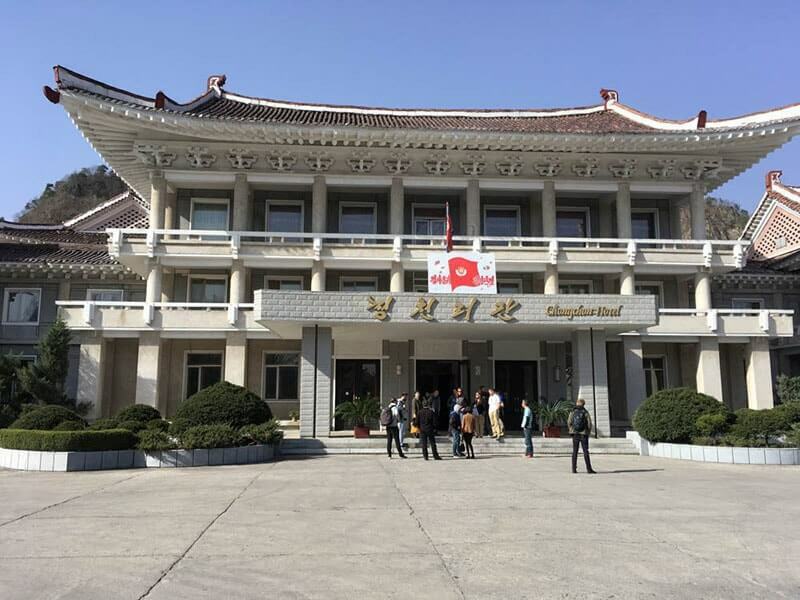 Chongchon Hotel is 2.5 hour drive from Pyongyang and it is a magnificent building. 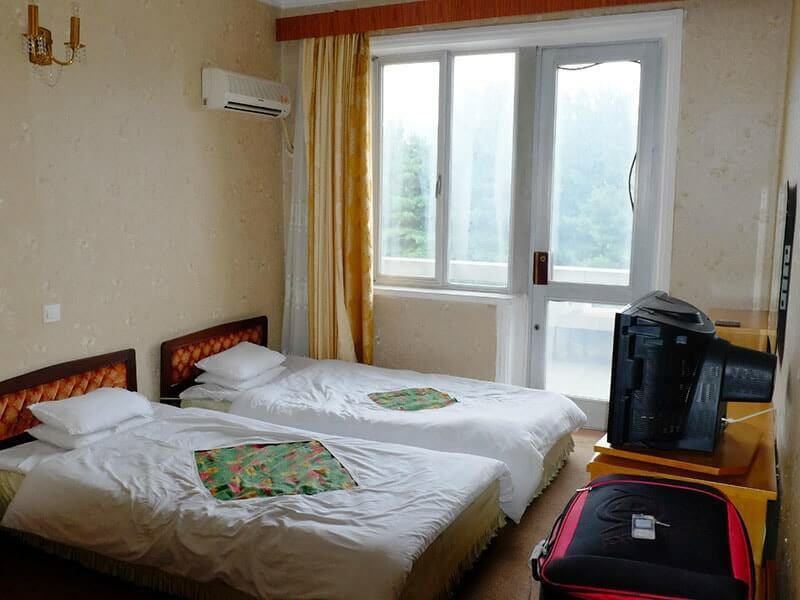 Hotel hosts over 60 rooms which are basic but clean with thin mattress and thin pillows. 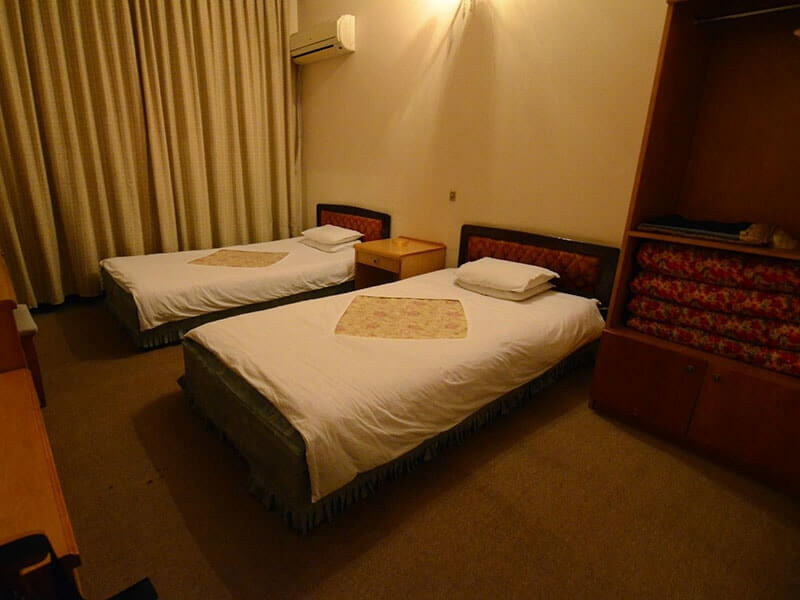 All rooms are fitted with all the necessary amenities for a comfortable stay. Hot water to shower was available at set hours in the morning (7:00 - 9:00 AM) and evening (20:00 - 22:00 PM). The door on the other side of the room open to a balcony walkway (shared with other rooms). Some rooms overlook the town or the river and they had a nice morning experience with public music and speeches on the street. The hotel is quite isolated, so the evening is quiet. 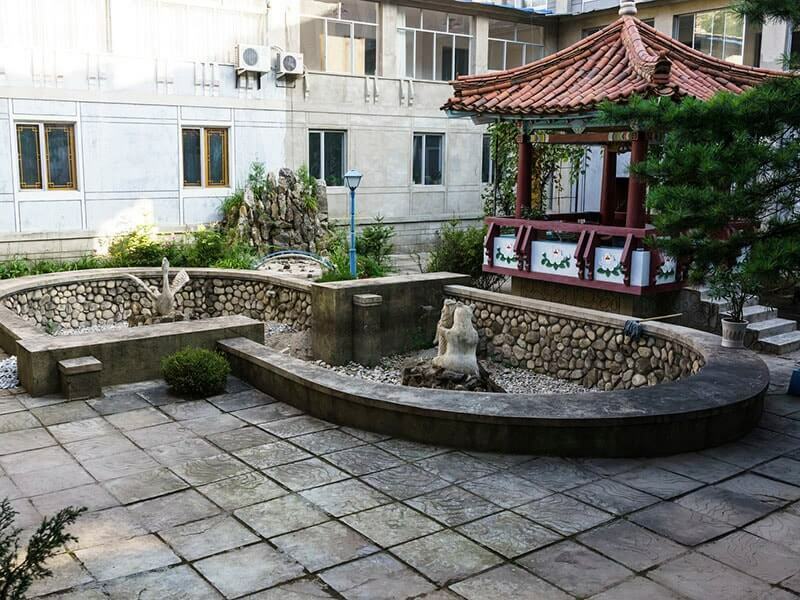 In the free time, you can take advantage hotel's facilities such as swimming pool and table tennis facilities, karaoke rooms and a bookshop which sold books by or about the North Korea's leaders. 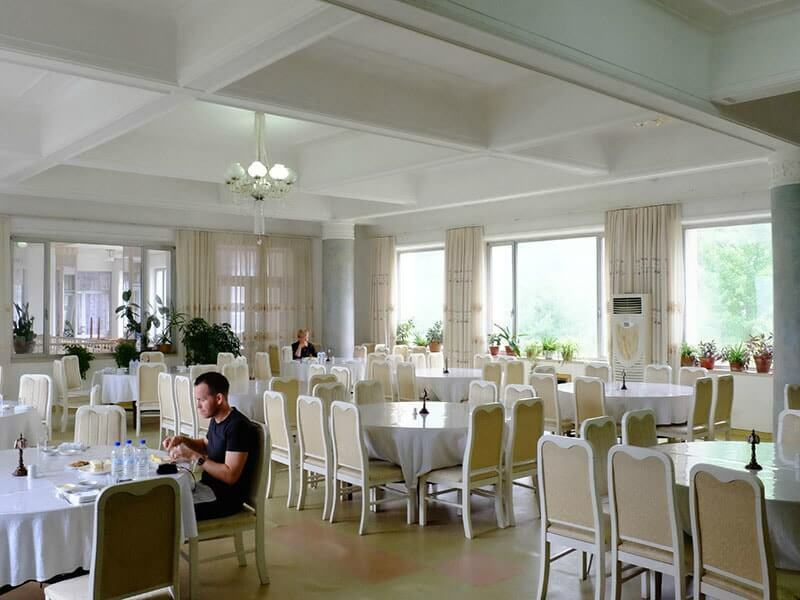 You can sit in the dining room's small bar and enjoy some drinks which are quite low. 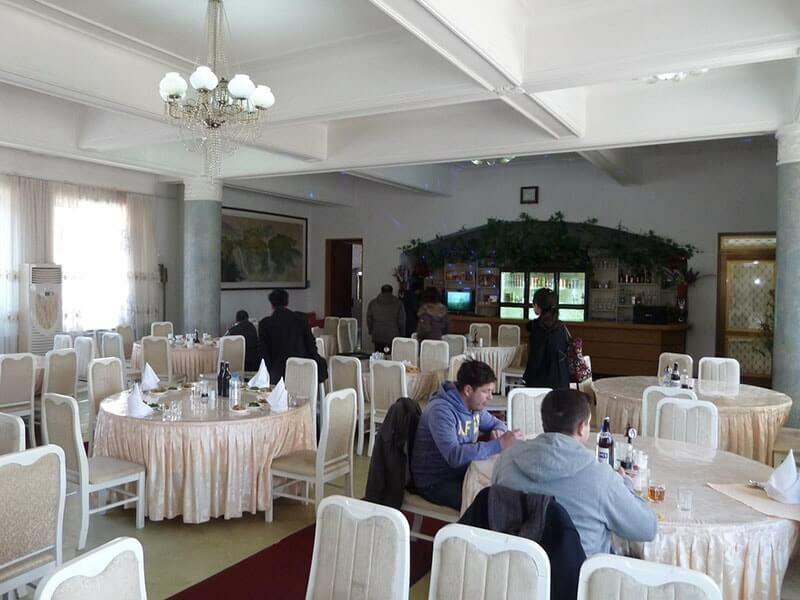 Hotel's restaurant serves a various international and North Korea dishes. 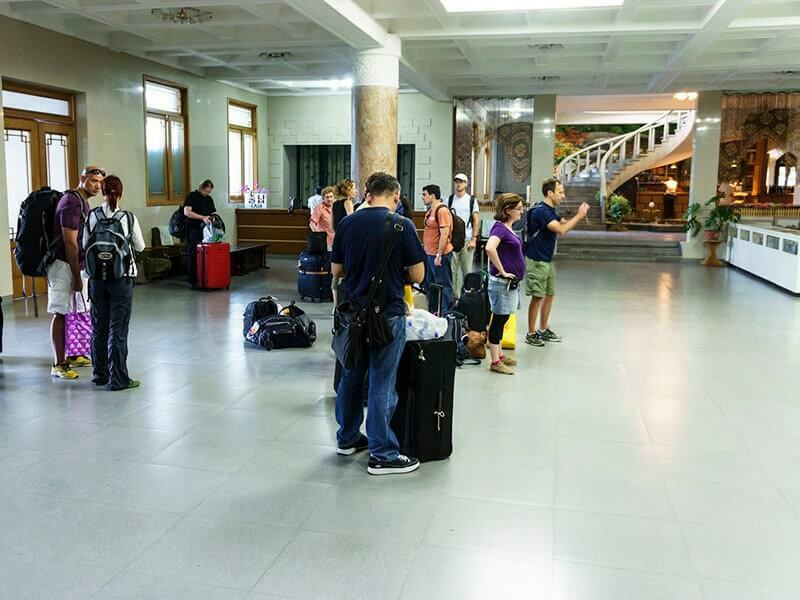 You will have wonderful experience with hotel's friendly, helpful staffs who always try their best to ensure you a comfortable stay.